I probably don't have the most mature taste in....well, anything. My get-ups can be judged by how many kids in supermarkets or on the streets point me out to their parents and sometimes yell in delight. I know I've got a winner when a child accidentally walks into a wall because he or she is too busy staring at my child-like adulthood. I thought leaving Melbourne I wouldn't have much use for umbrellas so I gave my SpongeBob SquarePants umbrellas to a dear friend so she could remember my immaturity whenever it rained. Luckily, Little Sissy Pham gave me the SpongeBob umbrella I gave her a couple of years ago because she lives in Brisbane where it normally doesn't rain so much (or maybe that was the drought Australia went through). Her loss! Muahahaha - or should I say "Dahahahahahahaha!"? 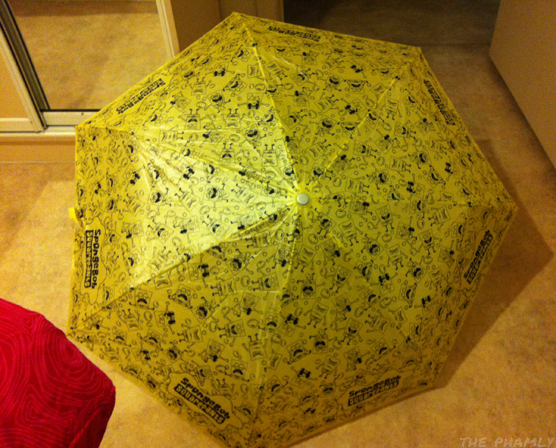 Now that Brisbane's in wet weather season, I've been using SpongeBob to keep the rain at bay almost every day. I guess I could be nice and get Little Sissy Pham a new SpongeBob umbrella from Ebay but I think she secretly wanted a grown up umbrella because I see she her using a sensible black one these days. Hmmph, Spongesnob. If you do buy one from eBay make sure you get an adult-friendly one. 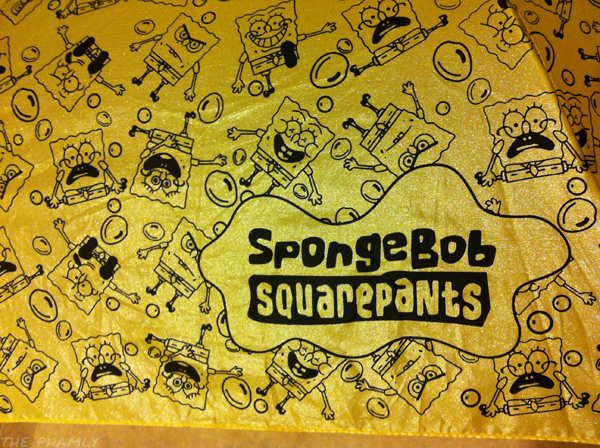 Most of the SpongeBob ones are for kids.